Amber is one of my clients from New Jersey, even though she doesn’t live there either; she drove three hours to come see me. 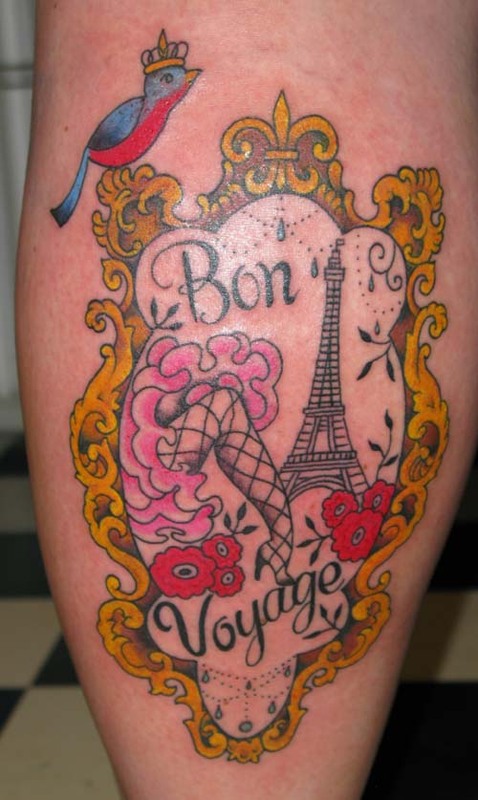 And then she came all the way to Paris to get tattooed again! Anyway she was in Europe and with a little nudge from me, she took a train from Amsterdam to spend three days in the city of lights. When discusing the ideas for this tattoo Amber made me a flickr set for inspiration. You can see it here.